Re-Discovering the Past is SHP's ideal series for mixed-ability teaching in Key Stage 3, combining clear author text, accessible but worthwhile activities and clear lines of enquiry. while retaining their characteristic emphasis on challenging readers to think deeply and pursue historical enquiry. SHP have also provided extensive support for further differentiation through FREE online support material via the Hodder History Nest. The Medieval Realms Special Needs Support Materials and Re-Discovering Medieval Realms Teacher's Resource Book are available FREE from the Hodder History Nest. 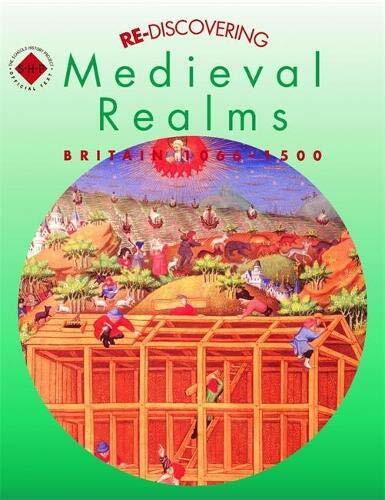 This book is a revised edition of Discovering Medieval Realms which won the TES textbook award who described it as 'History teaching at its best'. Colin Shephard was formerly the Director of the Schools History Project. He is Chief Examiner for OCR GCSE Modern World History, and is leading the development of the new and innovative History GCSE Specification being piloted from 2006-2008. much in demand as trainer for GCSE and IGCSE. He was the Series Editor of the Discovering the Past series for both Key Stage 3 and GCSE.